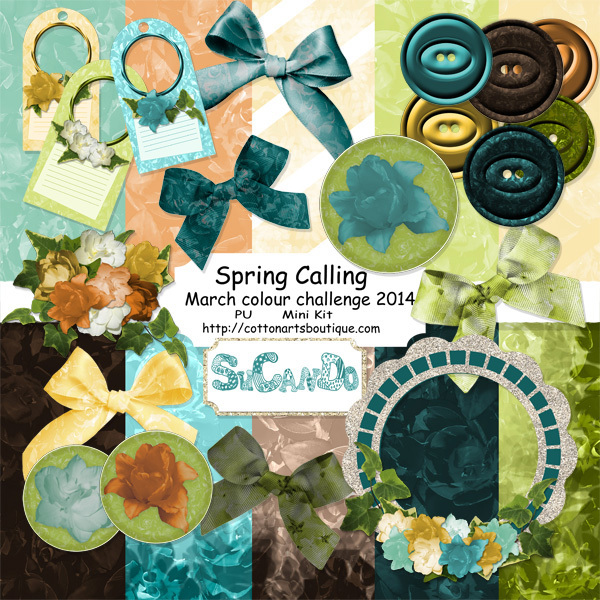 March is almost over and so is another colour challenge at the Digital Scrapbooking Studio. This is my answer to the challenge. The colours are earthy and the green of early spring when the leaves and first tree blossoms are springing out all over the place. Enjoy the kit, personal use only. 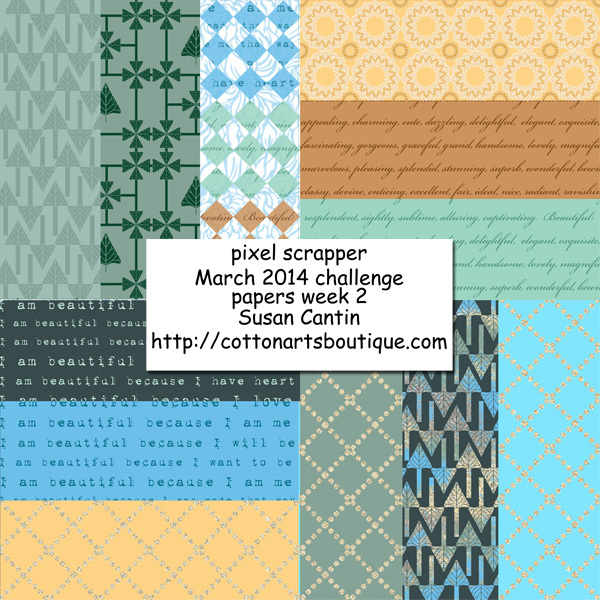 This is my second challenge at Pixel Scrappers. The challenge is the full month of March and you will find the kit for downloading at the end of the month. Each week I will be adding another teaser of what you will get. Don’t forget to come back and check each week. This week it was papers. 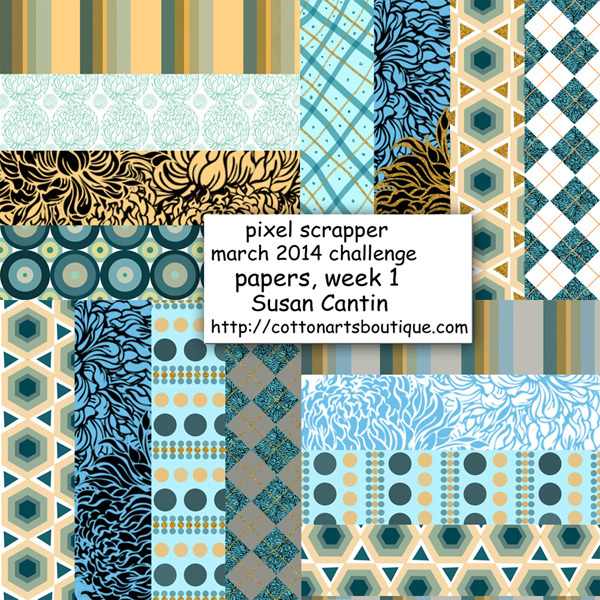 The second week of the challenge called for more papers using the same colour pallet as last week. At the end of the month there will be a full kit to download and play with. Come back next week to see what we had to create for week 3. Week four and the kit is finished. There are 4 downloads, one for each week so don’t forget to download them all to get the complete kit. Beautiful Affirmation is the title of the kit. Stating that each and every one of us is beautiful. We don’t always remember this as we go through life. 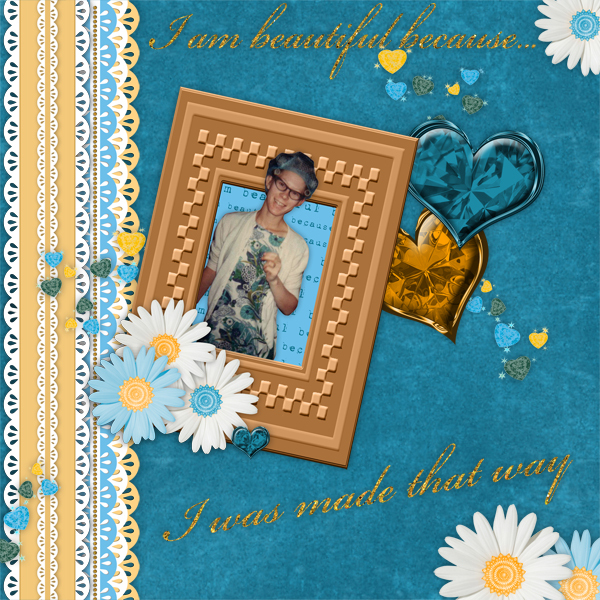 Here is a page I created using an old photo that is not one of my favourites but does remind me that I am beautiful even when my hair is in rollers. I’m not telling how old this photo is though !! 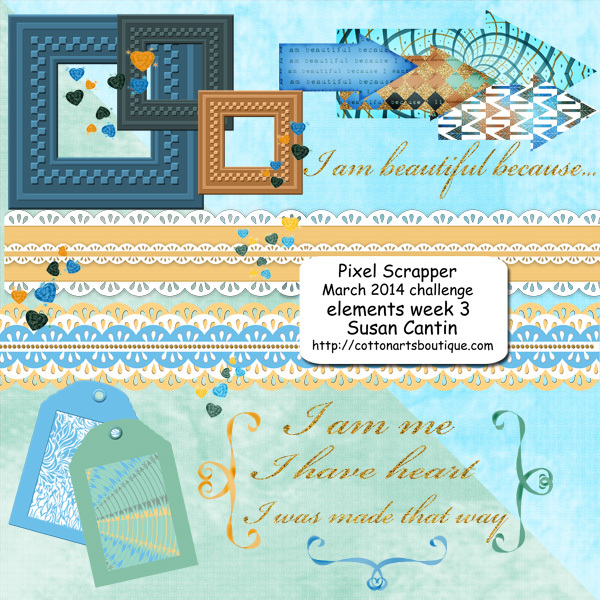 This little kit was done for the Pixel Scrapper site, a little February challenge I found at the last minute. The challenge was to make a kit from a row of bingo squares. I chose a horizontal row which included 2 ribbons, stars, yellow, 3 flairs and plaid. 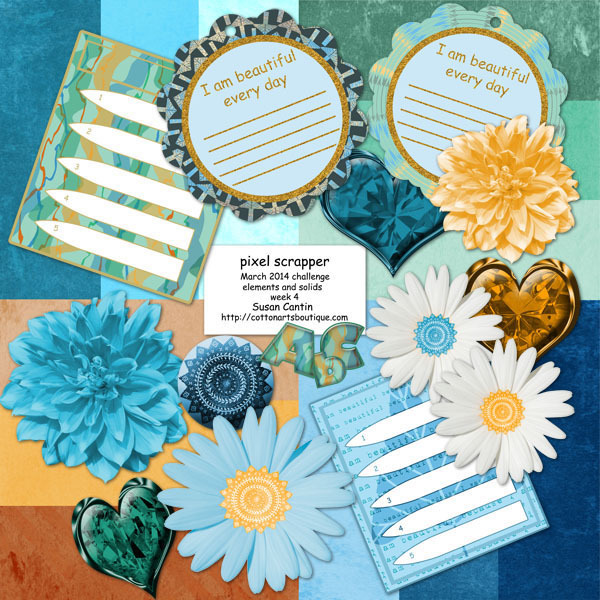 The plaid paper was created using the marisaL287 psd template. Personal use only with this kit.